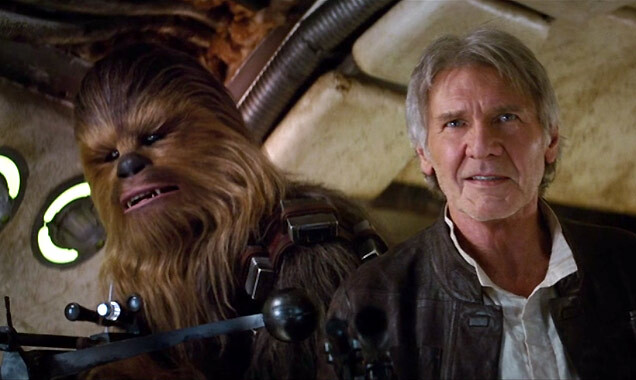 Star Wars: The Force Awakens - Okay, so 'Star Wars' was probably the main event of the week, with Harrison Ford being given a standing ovation and practically bringing people to tears as he finally makes his return having starred as Han Solo in the original three films. He was looking healthy and well despite his plane crash earlier this year, and joined director Jj Abrams in unveiling a free concert featuring music from John Williams' original score performed by the San Diego Symphony. Plus, we even found out that Domhnall Gleeson will be playing the villainous General Hux in the movie, though fellow Brit Simon Pegg is yet to reveal his role. Suicide Squad - Probably the most eagerly anticipated new trailer to launch at Comic-Con 2015 was 'Suicide Squad', with its stellar ensemble cast, and characters that we have yet to see in a live action movie. Viola Davis is, quite frankly, extremely menacing as the morally questionable Amanda Waller, while Margot Robbie sets the spine tingling as the crazed Harley Quinn and Jared Leto is, well let's face it, still extremely handsome as the Joker, even with his insane metallic grin and ghostly pallor. 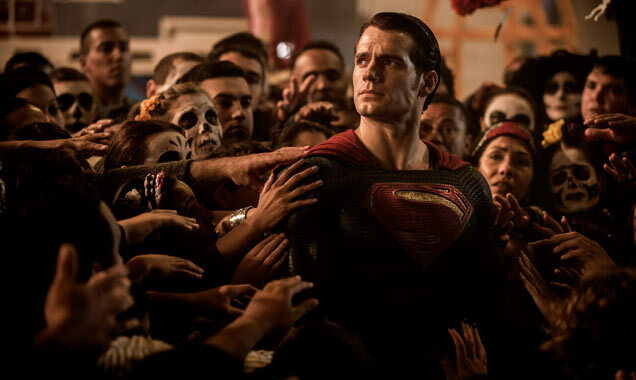 Batman v Superman: Dawn Of Justice - The Batman and Superman crossover movie is possibly the most exciting movie to come in 2016, with Henry Cavill and Ben Affleck facing off in defence of the world in 'Batman v Superman: Dawn Of Justice'. And while we've already had a few sneak peaks from the movie, Comic-Con gave us out first glimpse of Gal Gadot as Wonder Woman and Jesse Eisenberg as Lex Luthor. The Man From U.N.C.L.E. - Henry Cavill seems to be the man of the moment right now as not only will he be reprising his role as the Man Of Steel, but he will also star in the big screen adaptation of the legendary television series 'The Man From U.N.C.L.E.'. With the right amount of entertaining cliches, Guy Ritchie's new feature has some hilarious man on man action from Cavill and Armie Hammer - sworn enemies forced to be on the same team - and makes for a clever, light-hearted, classic take on the likes of Bond, Bourne and Mission:Impossible. New announcements: Details were announced for the upcoming movie adaptation of the popular web game 'World Of Warcraft' - as if it wasn't addicting enough! Some exclusive teasers were unveiled for eager fans who await the 2016 release of Duncan Jones' 'Warcraft', featuring some of WoW's character favourites brought to life. Over on the small screen, meanwhile, zombies are still reigning because 'The Walking Dead' has become so adored that a spin-off is set to come entitled 'Fear Of The Walking Dead' - shame this year's Zombie Walk was called off. 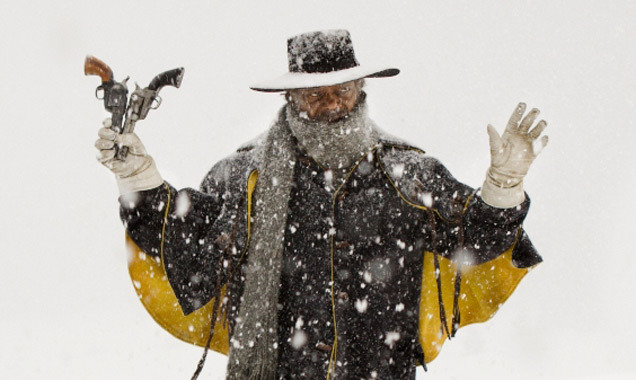 And lastly, Quentin Tarantino confirmed that Ennio Morricone would be composing the music for his new movie 'The Hateful Eight'; a man who any true Western fan will know is responsible for scoring some of the best spaghetti Westerns of all time including 'Dollars Trilogy', 'The Good, the Bad and the Ugly' and 'Once Upon a Time in the West'. Funniest moment: Bryan Cranston throwing shade at a 'Breaking Bad' fan from Albuquerque was hella unexpected! The fan, clearly a little nervous, asked his hero if he had fun shooting in his hometown, to which Cranston replied with a smooth, 'Yeah, I'd go and visit your mother once in a while.' Wow. Most heartwarming moment: On a more serious note, 'Supernatural' star Jared Padalecki received the warmest welcome of the whole event, as fans raised electronic candles upon his panel appearance in respect of his new campaign Always Keep Fighting for the charity To Write Love on Her Arms. The foundation helps support people struggling with depression and associated illnesses, something that Padalecki himself has had to cope with. Comic-Con goers are the sweetest.